Inspired by the “do it yourself” movement, this software analyses your website, and explains to you step by step how to modify your website to improve its ranking in search engines results. Moreover, as autonomy and pedagogy are at the core of our values, the software is designed so that the user acquires SEO knowledge effortlessly whilst using the software to work their SEO strategy. Choosing your keywords: The software has integrated features to help you chose your keywords, which is the first part of a successful SEO strategy. You can obtain keywords suggestions, know search volume data and even steal your competitors’ keywords! 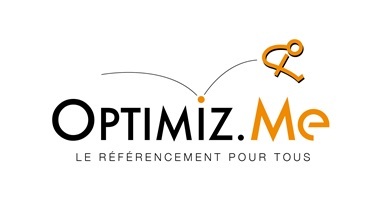 Audit of your website: Optimiz.me analyses your website and notifies you of which SEO factors are missing, for on page optimization as well as netlinking. Tutorials adapted to your CMS: In order to modify your website and make it more SEO friendly, short text and video tutorial are available to guide you step by step in your CMS. Majestic is a major part of this innovative solution. We use it in several features of the software. First, the netlinking module of the software allows you to know your competitors’ backlinks, thanks to Majestic. Optimiz.me integrates a feature to contact the website providing backlinks to your competitors, so that you can ask for a backlink too. 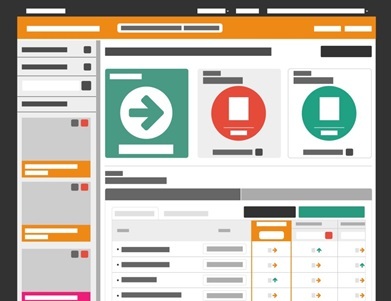 Then, Majestic allows our software to set up goals for our customers netlinking campaigns. We use it to retrieve our customers’ existing backlinks, but also to indicate to them how much efforts they will have to put into their backlink campaign. We use the Citation Flow of competitive websites to set the aims and help our customers achieve their goals. Moreover, we don’t want our customers to fall into the trap of black hat SEO therefore, we use Majestic to carefully watch our customers’ anchors, and automatically send them a warning when we detect a risk of Google Penguin sanction. To sum up, Optimiz.me makes experts’ tools available to everyone, with a good dose of pedagogy. Optimiz.me is also availlable in the USA, but with another brand name, Mazen. Mazen is an SEO software dedicated to all SEO specialists, and allows them to do more work in less time. Thanks to a very simple interface, and an integration with the main CMS, which allows clients to edit their website directly from Mazen. No more spreadsheet, no more time spent on tedious and repetitive tasks : Mazen allows the SEO specialists to work on what really matters.